Bitcoin is back in the green after positive news in the past few days about big-money investors looking to get involved in crypto. The top-ranked virtual currency has gained almost four percent in the last 24 hours. BTC proponents will be hoping this is the start of a sustained price rally. 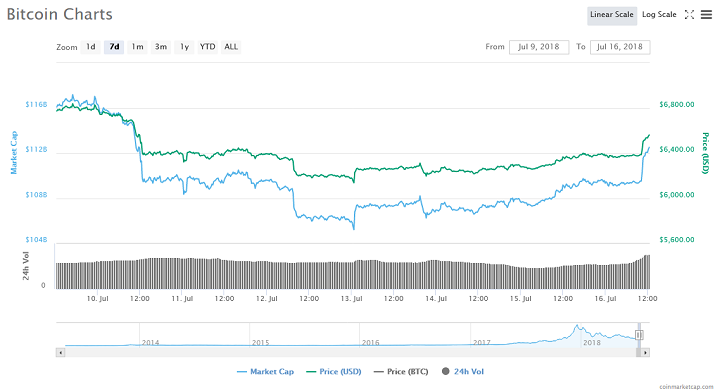 Starting from 10:00 UTC, the price of BTC has gained more than $200 to move from the $6,300 mark to slightly above the $6,600. At the time of writing this article, there appears to be no slowing down in the uptrend. Thus, the top-ranked crypto could be on the verge of posting positive growth today. 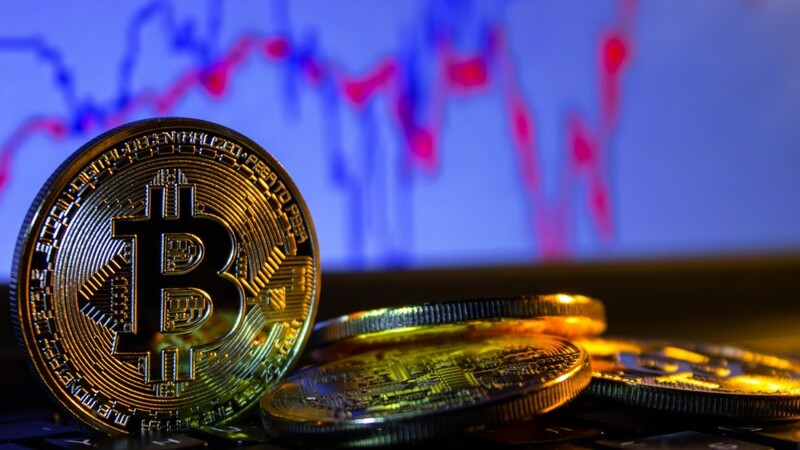 At the current price level, BTC is set to see its most substantial price upswing in two weeks, gaining almost four percent. Bitcoin experienced a difficult June 2018, twice dipping below $6,000 and set a new all-time low for the year. Since the start of July, BTC has been on a bit of a resurgence, peaking at $6,800 on July 8. However, a significant pullback saw it lose much of the gains earned within the first few days of July. In the aftermath of the second-week pullback, BTC came dangerously close to falling below $6,000 but has rallied in the last few days. Amidst steady growth since July 13, today’s surge may set the tone for a push towards the $6,900 resistance level. TenX founder, Julian Hosp recently said that if BTC achieved $10,000 by August, then it could make a significant push towards his $60,000 BTC price prediction. This latest BTC price surge comes firmly on the heels of two significant positive pieces of good news for crypto investors. First, BlackRock Inc., the world’s largest ETF provider announced that it was interested in blockchain investment. Billionaire, Steven Cohen recently invested in the Ariana Simpson-led Autonomous Partners, a cryptocurrency hedge fund startup. Since the start of crypto-winter in January 2018, many analysts have declared that the entry of institutional players is the next big step for crypto. Many big-money investors have so far shied away from the market due to regulatory uncertainty. However, regulations seem to be taking some shape as institutions like the SEC have deemed BTC and ETH not to be securities. In Asia, the market is becoming more structured with nations like Japan, South Korea, and Thailand taking significant steps to regularize the industry. With more clear and straightforward regulations, institutional money is bound to flow into the industry. Do you think this is the start of a sustained BTC price surge or is there another imminent dip? How high do you think the latest investment influx will catapult the price of BTC? Keep the conversation going in the comment section below.